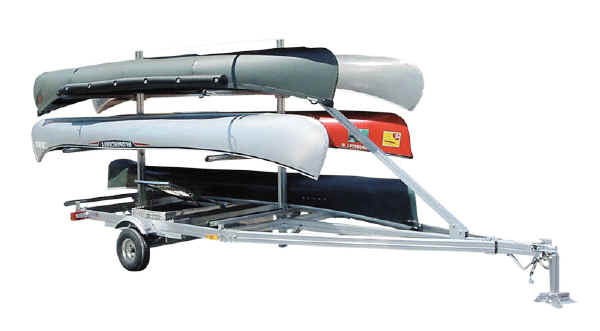 Trailex Multiple Canoe & SUP Trailers have epoxy coated leaf springs and hot dipped galvanized axles. 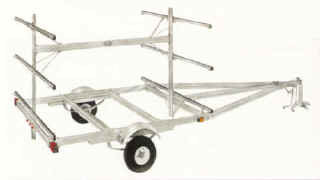 These trailers require common carrier or motor freight shipment, and are easily assembled using only simple tools. 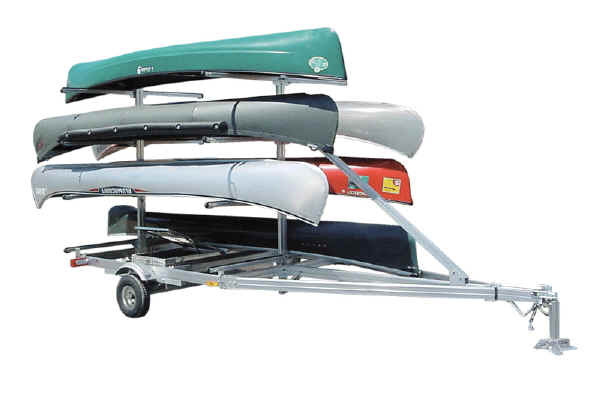 Since the Trailex Multiple Canoe & SUP Trailers are made of aluminum, they are maintenance-free in addition to being strong and lightweight. 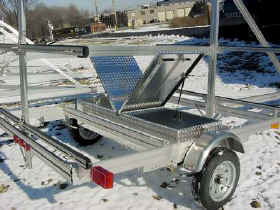 Their light weight allows towing with today's smaller vehicles. 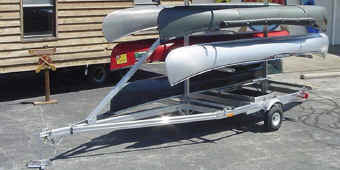 The canoe supporting crossbars have special cushioning vinyl extrusions to protect the gunwales when trailering. 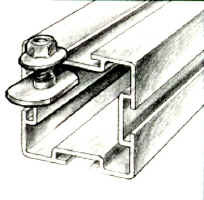 The ends of all crossbars are protected by vinyl extrusions to eliminate the possibility of damaging a canoe while loading or unloading. 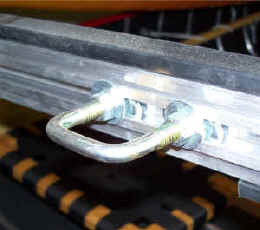 The crossbar height is adjustable. 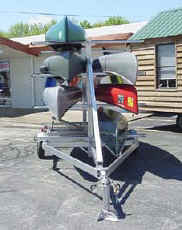 This model allows the transport of 12 SUP Boards - each on their own individual arms. 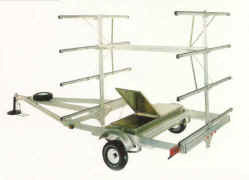 TXBX-C Storage Box- Up to two of these boxes can be installed on the trailers. 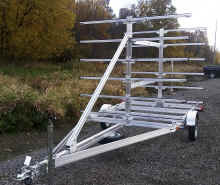 Box is 67.5" L x 22" W x 11" D. Also made from aluminum, it is handy for paddles and life jackets. 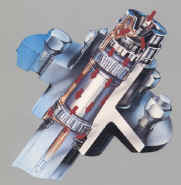 The second box requires an additional mounting kit BMK-2. 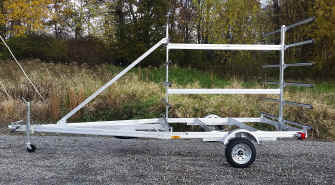 NOTE These Trailers comes with Multiple Web Strap Clips already included -Please See the Specifications Chart for the exact number of clips provided. 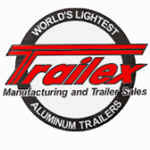 These trailers can be shipped via common carrier i.e. 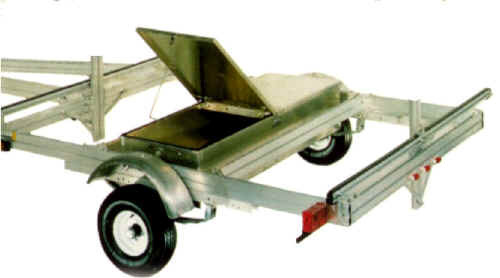 motor freight. The frames are assembled and then wrapped. 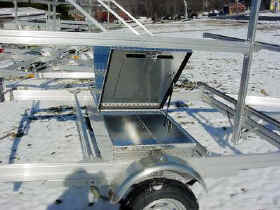 Running gear, superstructure, and lighting are boxed. 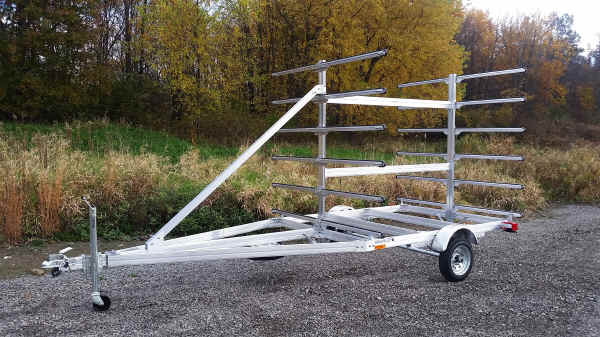 Optionally, these trailers may be delivered to your location fully assembled, depending on your area. 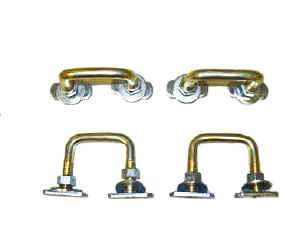 Please contact us for shipping quotes. 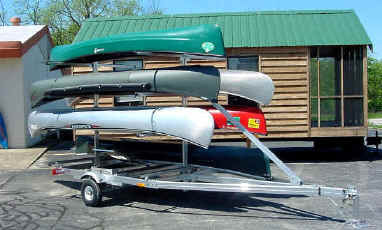 Multiple Canoe Trailer models can be also used to carry Kayaks as long as the kayak is long enough to be properly supported by the distance between the crossbars. This also allows mixing and matching canoes and kayaks on a single trailer. 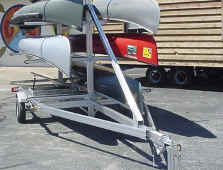 Multiple Kayak Trailers also available.